Let’s get it started! ‘A’ day is here. For those of you who don’t know about the diet, it’s designed around the concept that “variety is the spice of life.” It’s also a reaction to the fact that there are a billion different diets out there and thus i thought it’d be cool to create my own. So, each day I’ll be eating a different letter. Today is ‘A’ day and tomorrow will be ‘B’ and so on and so on. The ‘A’ day is a sneaky hard day to find food, but that’s why they call it a diet. The alphabet diet for me is all about variety. It’s about going to stores and restaurants that I normally wouldn’t. That happened today for lunch. 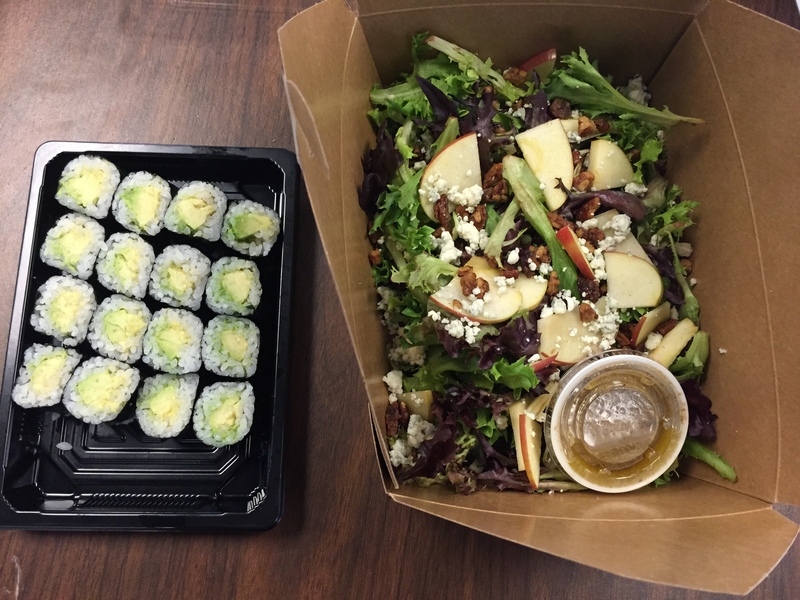 Unable to find anything ‘A’ anywhere, i resorted to Avocado rolls and an apple salad. It tasted great and was delicious. I strongly oppose the denial of acorn squash for A-day. That is like saying a sweet potatoe is only a potatoe. Acorn squash is one of many different varieties of squash. On another note, apples baked inside an aacorn squash with a little brown suger and cinnamon is awesome. Editor note: thank you for your note. I agree with you that it is indeed a separate food. Similarly Hot Chocolate is not just chocolate that is hot but is its own food too. I will add that to the list. There i was standing in downtown Boulder on Pearl St. and was struggling to find a suitable lunch for myself. I needed something that started with ‘A’. I had a spare apple in my jacket pocket as a safety net, but i was hoping to not go there as an apple was all i had for breakfast. 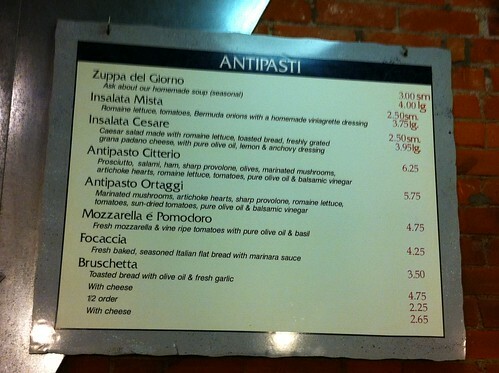 Luckily, Toby was there for me with genius idea of antipasti.